In numerous industrial sectors, it is necessary to decide between a distribution network or direct sales. Everything depends on your objectives. However, this marketing channel is often poorly appreciated and can generate internal dissatisfaction. For industrial directors, it is important to understand which channels to use. According to the marketing definition, a distribution channel is “the path that goods take to get from the producer to the consumer”. Choosing the right distribution channel is essential: bad market positioning may have consequences on your sales, your production costs and, more generally, the overall activity of your business. Three criteria are important when choosing your distribution channel: the type of product, your potential customers and the target market. You have several channels available to sell your products. Depending on the distribution channel that you choose, you might need to call on intermediaries, who can have different roles in selling your products or services. Direct sales allow you to sell your products or services directly to the user. You do not need to use an intermediary. The sales methods that characterize this distribution channel are: telephone sales, sales at events such as trade fairs and, of course, sales made in your own sales area, whether real or virtual. This direct channel is a very short sales cycle, generally used for the sale of industrial goods. The main advantage is that it allows you to directly control the market, with no intermediaries involved. It allows manufacturers to build a special relationship with his customers and gain an in-depth knowledge of their needs. This allows the manufacturers to launch new products quickly and to fine-tune their marketing offer. On the other hand, this channel demands good sales organization and significant storage capacity. In other words, when there is an intermediary between the manufacturer and the buyer: i.e. the distributor. The distributor buys the merchandise then resells it, while taking a margin. The distributor has an important role in positioning your product on the market. He handles the promotion aimed at potential buyers. Your distributor must have a great expertise in the market and a good network that he can recommend your goods to. The use of a short channel generally reduces overall distribution costs and may give you a better understanding of the market, and raise your profile, since your products can be sold across a larger geographical area. However, manufacturers may lose control of the product distribution and therefore loose contact with their customers. The choice of distribution channel will depend on the nature of the product, the production and financial capacity of your business, your personal preference and your target market. Does the chosen distribution channel fit with the brand image of your product? Does your distribution channel position your product correctly in the market that you are targeting? What position will your product have on the market? Is your intermediary acknowledged and appreciated in the market in which you wish to position yourself? Can you afford the distribution costs? Do the margins taken by each intermediary still allow you to be profitable? Has your intermediary put in place marketing techniques to ensure the promotion of your product? Are your distributors well-established in regions where there are a sufficient number of potential customers? Are they easily accessible? Have you anticipated the logistics organization? If you have chosen direct sales, are there any exports costs? What are your delivery deadlines? After reading this article, have you now decided on whether to use a distribution network or direct sales? Good, but have you thought of your customers? What is the best channel for them to have access to your products? Whatever the choice of distribution channel, the ultimate objective is to help prospects when they are searching for a product. From your website to the final purchase of the item, the process should be as smooth as possible. 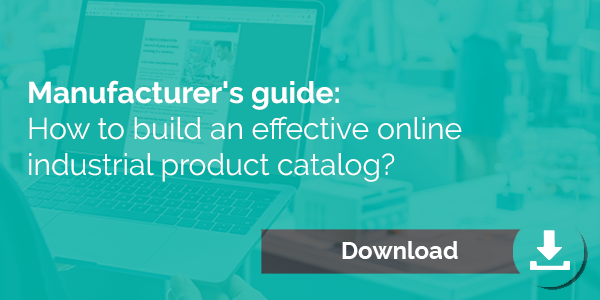 If you have already chosen your distribution channel, then download our guide now to ensure the successful launch of your product catalog.